In 1971, Professor Philip G. Zimbardo decided to see what would happen if he put good people in a bad situation. Would they maintain their values and morals, or would they convert to the dark side? The Stanford Prison Experiment was so successful that it had to be shut down when formerly good, upstanding citizens like you and me, given a little power and the right to use it, turned into sadistic prison guards with little to no regard for the lives of others. Unfortunately, the Stanford Prison Experiment was found to be somewhat dishonest earlier this year, but there’s no doubting that people don’t need a second excuse to be terrible. The film, The Purge, and its three (too many) sequels were based on the premise that we are naturally evil, and need to purge these supposedly natural instincts in order to maintain some kind of balance in society. Like Zimbardo’s experiment, it asks you to consider what you would do if the rules were changed. Its primary focus is the means by which a ruling class known as the New Founding Fathers of America (NFFA) use this “bloody holiday” to eradicate minorities and the poor as a form of white-nationalist population control. Such incendiary button-pushing has made the franchise explosively exploitative. However, it’s also caused it to get bogged down in moralizing at the expense of suspense or scares—or, more crucially, inventiveness, which seems an outright crime considering the myriad possibilities afforded by its premise. While the idea is a good one, it leaves a lot of questions unanswered, like how society restabilises if people commit crimes that don’t just end when the sun comes up. For example, if you steal a baby, do you get to keep it? Now The Purge has been adapted for TV. Through a collection of stories set over the course of a single night, it does faithfully expand its purview to dramatize a wide variety of situations that, in total, expand our understanding of this most malevolent of occasions. You may not learn whether or not you can firebomb your school and, consequently, get an early summer vacation, but you will get a broader view of how this depraved system functions, and how diverse individuals navigate it for their own benefit. The show will follow protagonist Miguel (Gabriel Chavarria), a Marine recently returned from a tour of duty who goes in search of his sister Penelope (Jessica Garza). Penelope, who has joined a cult, has written him a letter suggesting that she’s about to do something drastic and Miguel intends to stop her. 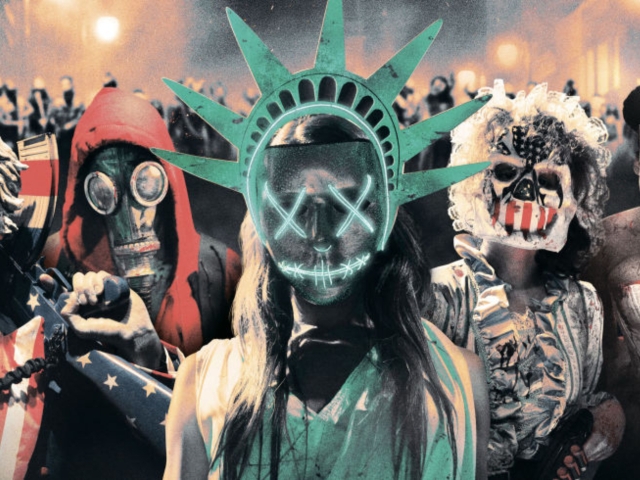 Through its distinct storylines, The Purge comes down hard on mankind’s inherent nature, as homicidal danger is ever-present even in the most secure and civilized of locations. In the absence of rules, are people merely self-interested, bloodthirsty beasts? Looks like an interesting watch, and the catalyst for a lot of arguments about human nature.